Damian opened DC Property Agents in October 2016, since this time he has been servicing clients across Sydney. He is as driven as any individual can be, with an abundance of knowledge in the Eastern Suburbs where he was born and still lives, the Inner West where he first started his real estate career and the Sutherland Shire where he opened his first Franchise office. Damian's business has grown off the back of referrals and ensures that all his clients are satisfied with the services they receive. One of the reasons his clients are always happy is that he is always contactable at any time. 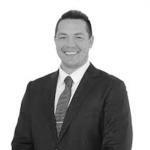 Being in the industry for 9 years and starting as a property officer Damian has noticed what does and does not work. He has fine-tuned his approach to renting out properties and sourcing quality tenants. With a diligent marking process we ensure that your property has full exposure to the market place. We offer the best possible marketing for all of our listings, which includes premier listings on both realestate.com.au and domain.com.au so you can rest assured that you will be at the top of your market place when searching for a new tenant. This is just an example of how we go above and beyond for our clients.